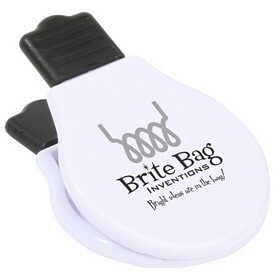 Customized bag clips can be a great product if they are innovatively designed. 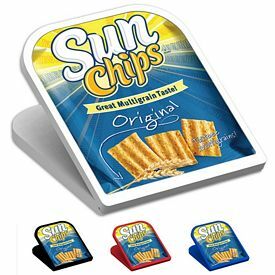 Children as well as adults love to store colorful their munchies with bag clips. 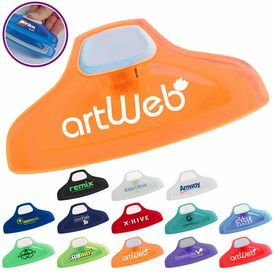 We, at Executive Advertising provide you with the most creative bag clips printed with your company logo. 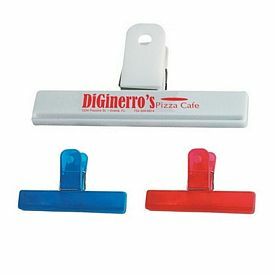 Give away our unique customized bag clips with magnets as promotional bag clips. 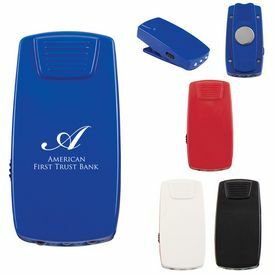 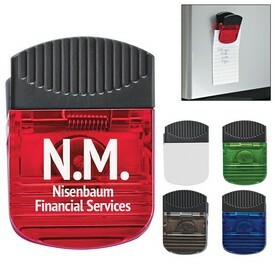 It has a magnet on the back side and the front piece can keep memos, business cards and notes. 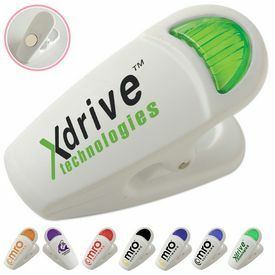 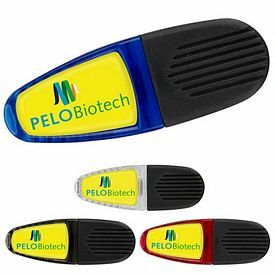 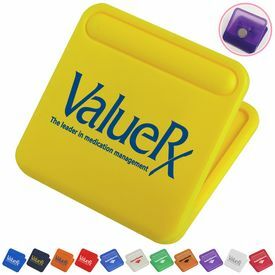 You will get these amazing color logo imprinted bag clips in exciting colors like purple, green, orange, blue and red. 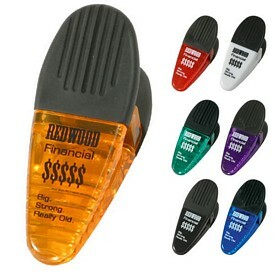 Write your company name in your desired font or use a your organization logo. 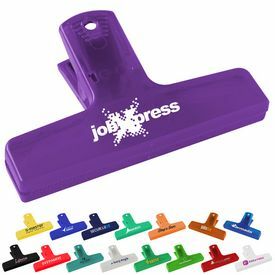 You will also get a free 24 Hour rush service on selected bag clips. 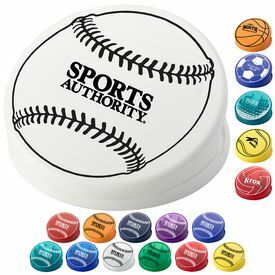 The Round Clip with sticky notes is one of our best selling 24 hour free rush promotional products. 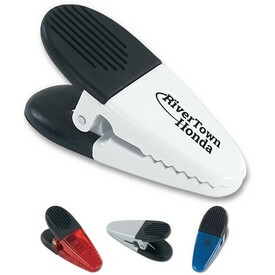 It has a magnet on its back side and a spring loaded hinge. 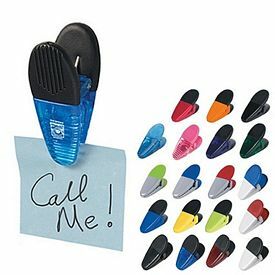 There are sticky notes attached to it and there is also a clip to hold a pen or pencil and is available in all the basic colors such as red, white, green, black, and blue. 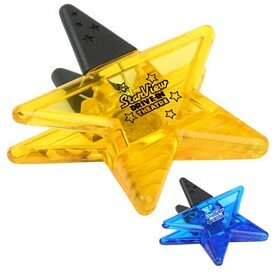 You can also try custom telephone shaped bag clips or star shaped bag memo clips if your target customers are children. 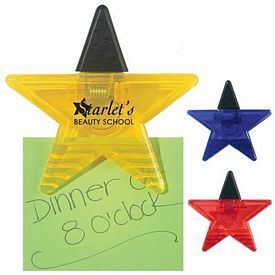 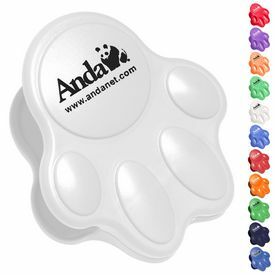 Children will adore these pretty clips thus increasing the sales of your company when the parents get a hold of your promotional product. 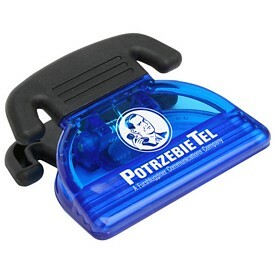 The telephone bag shaped memo clip has a large imprint area so that it can be attractively large designed. 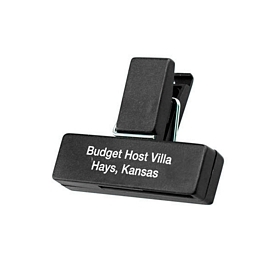 Some of our promotional magnet clips come with top rubber trip grip. 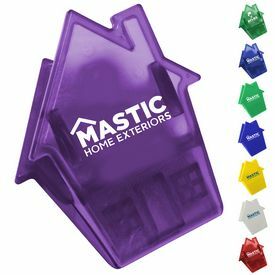 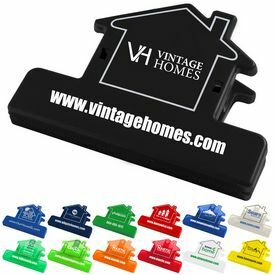 If you are a real estate agent, then you can order house shaped bag memo clips for the promotion of your real estate firm. 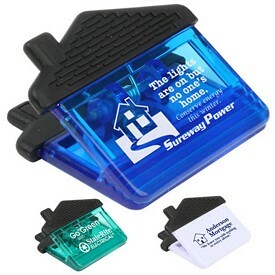 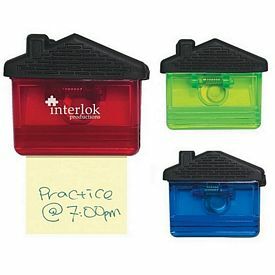 People will surely notice these intensely colored memo clips and approach your real estate company. 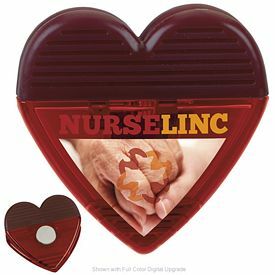 The heart shaped magnet clips are a great idea to advertise your company if you are the proud owner of a company that deals with greeting cards. 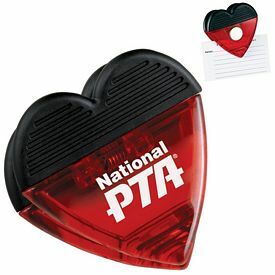 You can try the custom heart magnetic memo clip which has a durable spring loaded plastic shaped heart and rubber grips. 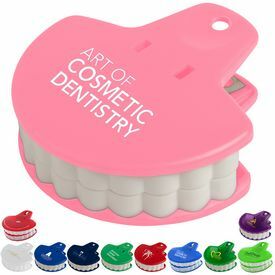 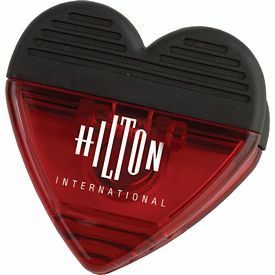 The promotional heart bag clip has ribbed teeth at the edges so that the hold is firm. 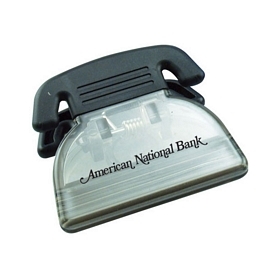 The back is covered with a strong magnetic strip. 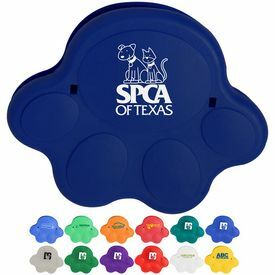 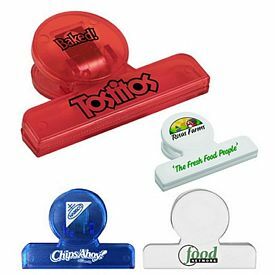 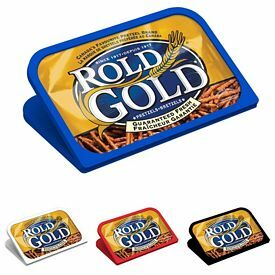 The Executive Advertising has kept in mind the how affordable advertising products can be useful and we have come up with economical solutions for these useful magnet clips such as the promotional 4 inches and 6 inch chip bag clips. 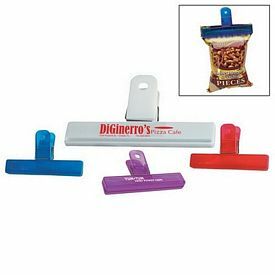 The classic bag clips provide the customers with a large grip area so that the hold is secure. 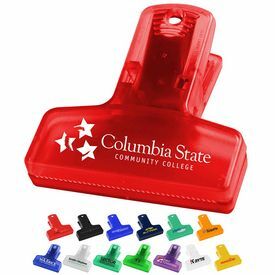 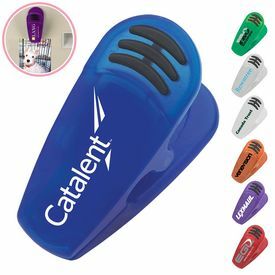 If your company symbolizes simplicity and discipline, then this promotional bag clip is perfect for you. 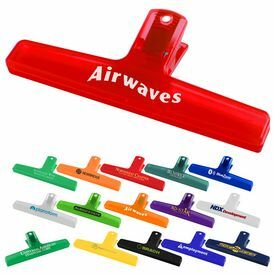 This comes with free rush service from us. 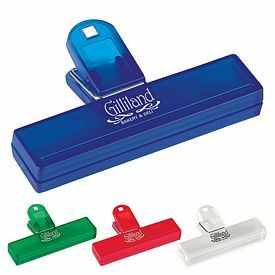 The round handle bag clips have a spring action clip. 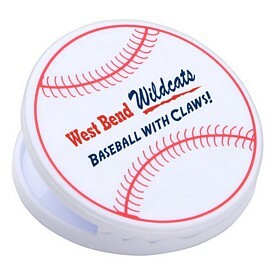 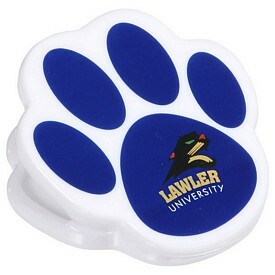 The logoed round hand clip features tiger teeth edges can be used for multipurpose items. 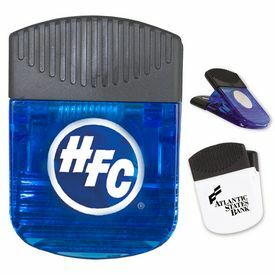 You can endorse the company as much as you want as there are two imprint locations on this clip. 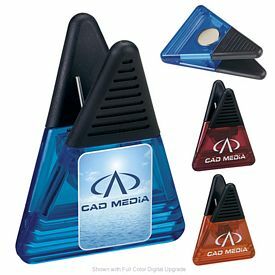 The PhotoVision clip is one of the most extraordinary custom bag clips that we deliver. 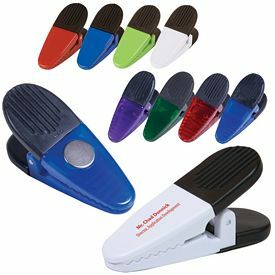 It is a large clip with spring action so that it clamps ideally. 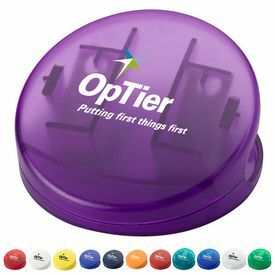 The polyurethane full color dome will not let your company logo fade away. 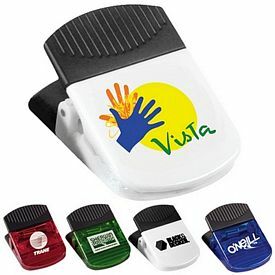 Full Color Digital printing gives the clip a sophisticated look. 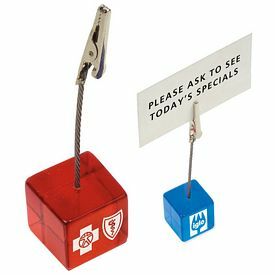 Choose your preferred promotional product from a multitude of our exceptional bag clips.